Once upon a time would be nice. So, it is coming along. The Storyboard was a challenge to create but I think it can really helps authors visualize the flow so I wanted it in the first version. I still have a few bugs to exterminate but should have the prototype available to beta soon. 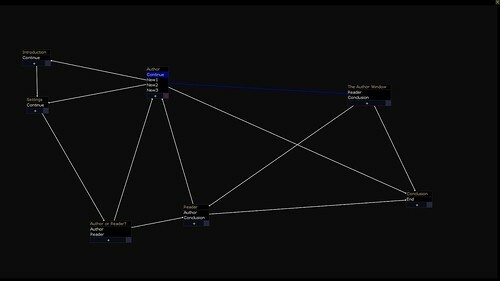 I'm still considering Import options but so far the idea of distributing stories as a data file zipped with a very simplistic plugin is most appealing. Haha. The graph is awesome. Looking forward to trying it out. I like this idea and the Garan's version is very nice! I don't have a time for participate in this projet but I can made a french translation, if all word are on only file. I would have never come up with an idea like the storyboard window. 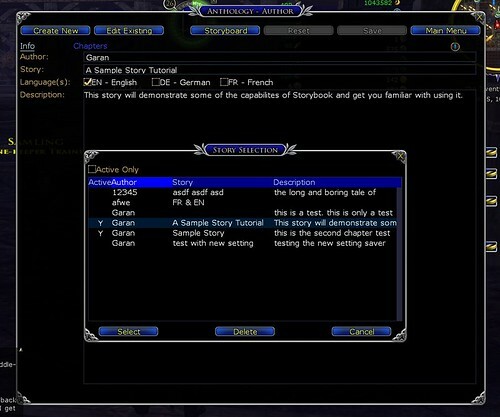 However, now that I've seen it, I suspect it will be a really nice feature, and that it will make it a LOT easier for people to plan stories. It will probably take a couple of days for Lunarwtr to add it to Compendium but if you've ever downloaded another plugin manually you can download it manually. 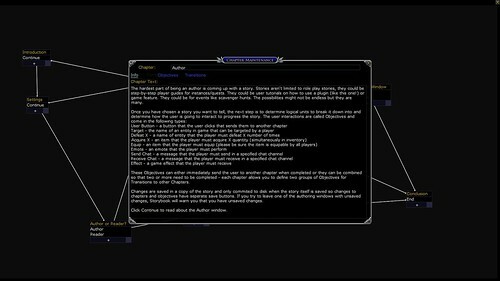 There are several components, ONLY load the "Anthology" plugin via Plugin Managers or manually, the others are loaded internally and should not be loaded manually or by a manager, even the Tutorial is loaded internally. 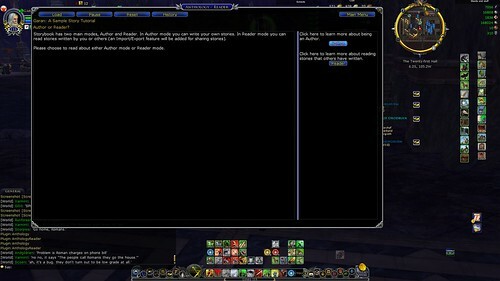 I'm disappointed that you decided against exporting the stories as complete, stand-alone plugins. 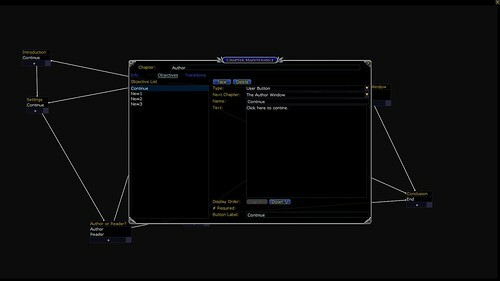 An uninitiated user now has to install two plugins, load one of them, and then follow author-supplied instructions on how to import and run the story (choose Import/Export, choose the story in the plugins list, click "Import Lua", click "Main Menu", click "Reader", click "Load", click the plugin name, click "Select"). I think it will reduce the popularity of the system. Maybe not significantly, but somewhat. I had considered packaging the reader with the stories but that creates a whole new series of problems with bugs and fixes. If something goes wrong with a story either due to a bug in my code or SSG changing the API, it is much simpler to reproduce and fix the problem in a central reader plugin. There were a number of other factors but long term maintenance was by far the biggest. It would still be a central reader plugin. It would just have the story data packaged along with it. You'll still end up using the story-author's data to reproduce issues, either way. I don't see how your debugging task is simplified. I think the way you have chosen to do it creates more long-term maintenance problems than it solves. You'll have to maintain backward compatibility with old stories, and in practice, that will mean testing your updates with old stories before releases. But the main reason, as I've said several times, is that ease-of-use for the end user is absolutely paramount, if you want this thing to be popular. But I'm beating a dead horse now. It's a cool plugin, I'm sure it will get lots of use.